High quality, custom length RG6 coaxial cable that is suitable for any TV antenna, satellite, or cable installation. XTREME SIGNAL’s solid copper RG6 cable can custom cut to any length. This provides the best results in any professional installation. Made of the highest possible quality, these RG6 coaxials feature high-end compression fittings. 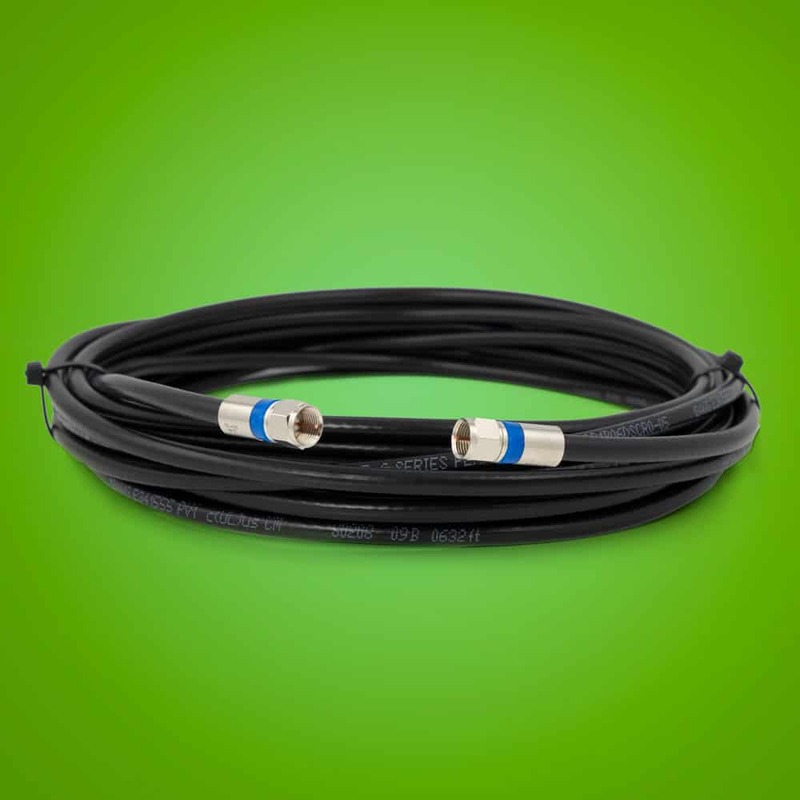 This makes our RG6 cable ideal for high-bandwidth cable or satellite TV installations. These high-end, cost-effective wires are the best coaxial cables for your installation project. Don’t use any old cable you might have sitting around. Use the best RG6 cable for the job – XTREME SIGNAL! Cable that is too long for its installation can cause signal loss. Our RG6 cables are custom cut to any length. This makes our RG6 coax cable perfect for even the trickiest applications. We also offer installation advice for any do-it-yourselfer who needs a little help. EXTREME SIGNAL is your source for the best RG6 coaxial cable for satellite TV, cable, and nearly every other type of electronics installation. Do you have any questions about our RG6 cable? Just call XTREME SIGNAL at 877-312-4547. We can answer your questions, offer installation advice, and much more.